If you would like a signed or personalized copy, please tell us in the order form you will see when you click "buy now" above. 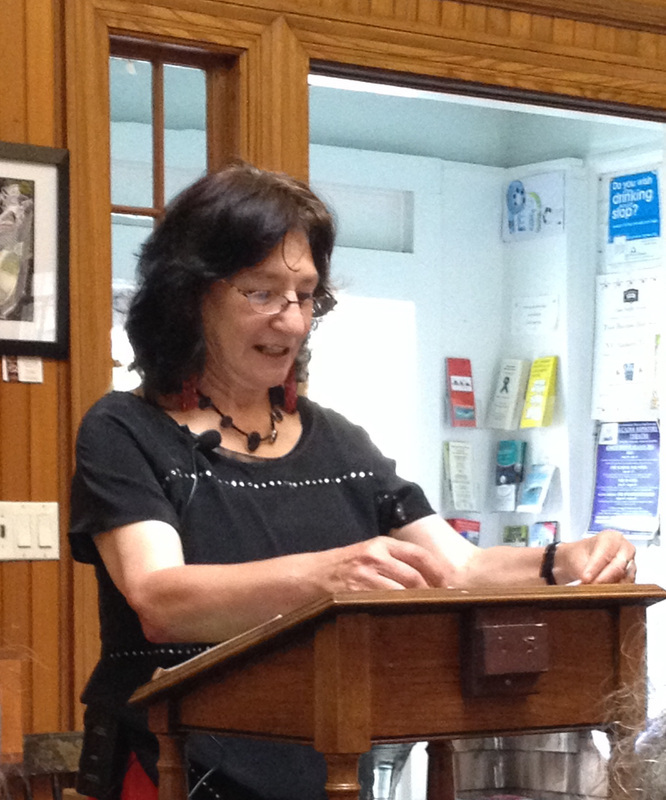 Weslea Sidon spoke July 2nd, 2014, at the Southwest Harbor Public Library. For information on future events, see our events page. 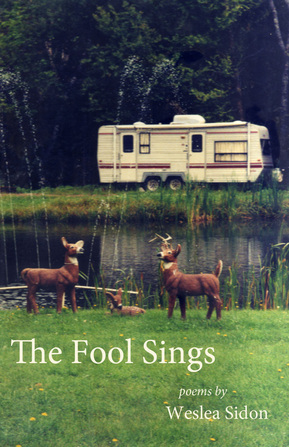 These poems are plainspoken but they do not settle for easy answers; they are smart and sometimes deliciously snarky, but always looking past smartness towards real wisdom; they are in the language we really speak, yet apt at any moment to break into song; capable of cutting you off at the knees, yet (usually) letting you instead walk gloriously free. These poems are real. They can almost teach you how to live, and certainly can show you—at times, shockingly clearly—how you are already living. Weslea Sidon’s poems have appeared in Confrontations, Salonika, Gulf Stream Magazine, the New York Times Metropolitan Diary, Xanadu, Still On the Island, and Paumanok, among other journals and anthologies. She has been Arts Editor of The Women’s Record, a regular columnist for Face Magazine and The Squash, and has reviewed music and books for The Bar Harbor Times, the Mount Desert Islander, Off the Coast, and High Performance Magazine. A recipient of a Martin Dibner Fellowship in Poetry and a grant from the Ludwig Vogelstein Foundation, she teaches creative writing at Summer Festival of the Arts on Mount Desert Island, where she lives with her husband and cats. Weslea Sidon's Find Maine Writers profile is here.